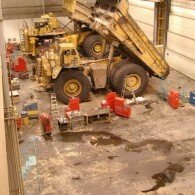 The complexities of new construction and the management of existing concrete floor surfaces present large challenges in today’s building industry. Whether you are trying to decide upon a floor design, finish, or repair strategy, we can assist you with state of the art advice for any floor surface, for any use and for any budget. 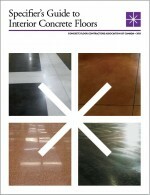 Please review on-line information on polished concrete, pigment coloured concrete and green floor solutions. 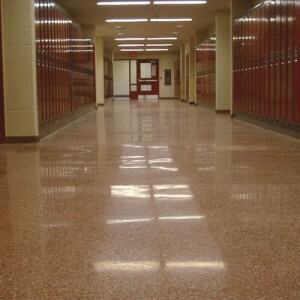 We welcome opportunities to provide you with quotations on your existing concrete floors for surface refinishing, joint repairs, flatness testing, flatness improvements and inspection reports. There are many exciting opportunities to specify a variety of floor designs and architectural finishes for new concrete floors and we welcome your questions by e-mail or telephone (905-582-9825). The CFCA is pleased to offer support to all building owners. Please refer to our Technical and Materials Libraries for additional Concrete Floor information. Please feel free to call (905-582-9825) or e-mail if you have any questions, suggestions or concerns.